2 Storey Single Attached with 4 bedroos, 2 toilet & bath with Lot Area 80sqmtrs. floor area 96.12sqmtr. 3 Bedroom Retirement House for sale in Balamban Cebu Sapphire Model. Large 9 Bedroom House with Ocean View for Sale in Maria Luisa Park. Bungalow House with swimming poolLot Area: 1,200 sq.m* 1-living room(imported furniture included) with American kitchen and additional toilet and bath* 2-bedrooms with bathroom (T&B+shower)* 1- large pool (10,000 gallons)*1 -large terrace with imported outdoor furniture. * 2-garage for 2-cars Selling Price: Php 16M (nett)"DIRECT BUYERS ONLY"
MODERN House WITH FURNISHED THINGS FOR SALE IN TALAMBAN CEBU. CAMOTES ISLAND Beach Resort for Sale with 1.6Hectares Lot. Brand New 4 Bedroom House in Mandaue Cebu. For Sale Modern House in Villa Sonrisa Liloan Cebu. PRE-SELLING 100SQM 3-BEDROOMS FOR 17,035/MONTH. VERAH House 30sqm. @ 799,000 Pesos inside EL PARADISO near TINGKO WHITE BEACH, Alcoy, Cebu, Philippines. TALAMBAN CEBU 4-Bedroom Single Attached House for Sale. Ready for Occupancy Fully Furnished 3 Bedroom Duplex House. Single attached ,2 storey House & lot for sale in Liloan with lot area 100sqmtr, floor area 127sqmtr. PRE SELLING. 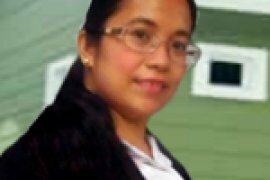 Hello, Please contact me, I am interested in houses for Sale in Cebu. Best Regards. With over 4 million population, there's no denying that Cebu is one of the most powerful location in the Philippines today. Hailed as the "Queen City of the South," Cebu rules over the Central Visayas region as the most sought after commercial and residential spot. It was in 1521 when Ferdinand Magellan and his crew arrived in Cebu. This became a focal point in the Philippine history since this became the beginning of the Spanish colonization. Cebu acted as the center of trade and commerce during the 300 year occupation. Because it's in the center, it's easier to put businesses and exchange trade in Cebu. There are currently 9 economic zones available in the whole province today. These economic zones are filled with international standard facilities and opportunities. Investors are not hesitant in starting businesses in Cebu since there are tons of excellent manpower available in the area. A house for sale in Cebu is a great investment since the province is very livable. It's a mixture of the old and the new, of the urban and the rural. Yes, there are tons of commercial establishments in the area, but Cebu managed to never lose its provincial charm. Cebu is also filled with iconic historical sites and wonderful nature locations. Its beaches are known for being simply one of the best in the world. The impressive track record of Cebu as one of the most progressive locations in the Philippines is something to be proud of. It's export growth rate is 20% - higher than other provinces in the country. Its gross regional product (GRP) grew in 12% since 2010. The improving stats is just one of the few reasons why moving and buying a house for sale in Cebu City is a great idea. Live at the country's brightest. Experience living at the Queen City of the South by going to Dot Property portal. 7,255 houses in Cebu are available for sale. Save this search to receive emails when new houses for sale are listed in Cebu. The average listing price in Cebu was ₱ 9,835,621 on 1 Apr 2019 and the average size was 163.8 square meters with 3.6 bedrooms. The average price per square meter for houses in Cebu was ₱ 60,047. New homes for sale in Cebu include Galleria Residences by Robinsons Residences, The Galleria Residences by Robinsons Residences and Solinea by Alveo Land. 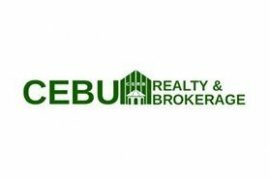 If you cannot find a property for sale that meets your requirements then try searching our houses available for rent in Cebu. Dot Property also provides helpful guides, blogs and regular news to help property buyers with their search.